Collagraphs are an accessible, affordable and environmentally friendly printmaking technique that can produce really exciting results. You'll leave this course wanting to do more! 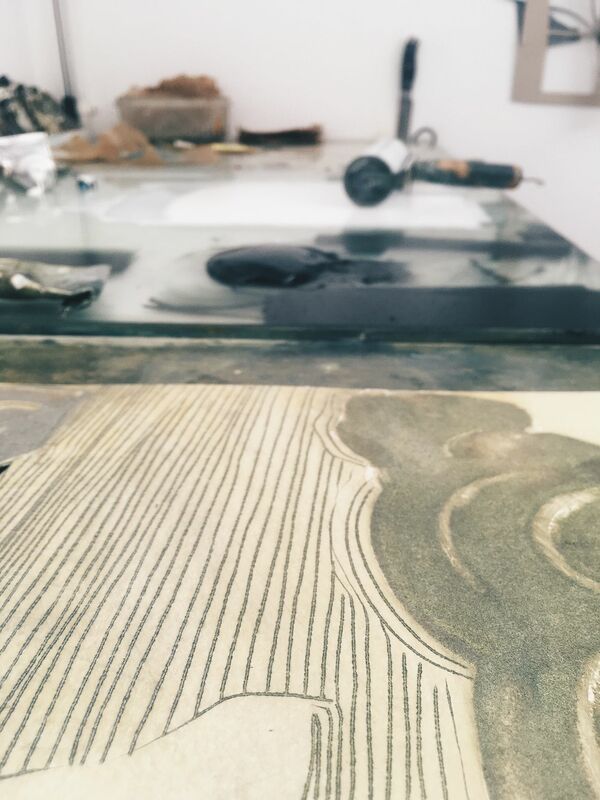 Collagraphs are made with non-specialist materials using texture to build a plate and hold the ink. Once inked, they are printed using an etching press. On this course you will begin by learning the basic techniques involved. Then as the week continues, you will have the opportunity to play and develop your ideas further with the support of Katherine and the group. Using either past projects as a starting point or beginning new work, Katherine will be on hand to offer the technical and critical support you need on a one-to-one basis allowing for focused help specific to your project. You will leave with a handful of your own prints. This a great chance to really get to know the process, develop your ideas and leave with the skills and confidence to pursue collagraph printing in the future.